crappy pics, took them very quickly! Can't tell if the pics are showing or not. Double up your ear protection when you shoot that thing. Looks nice. As much as people hate them. 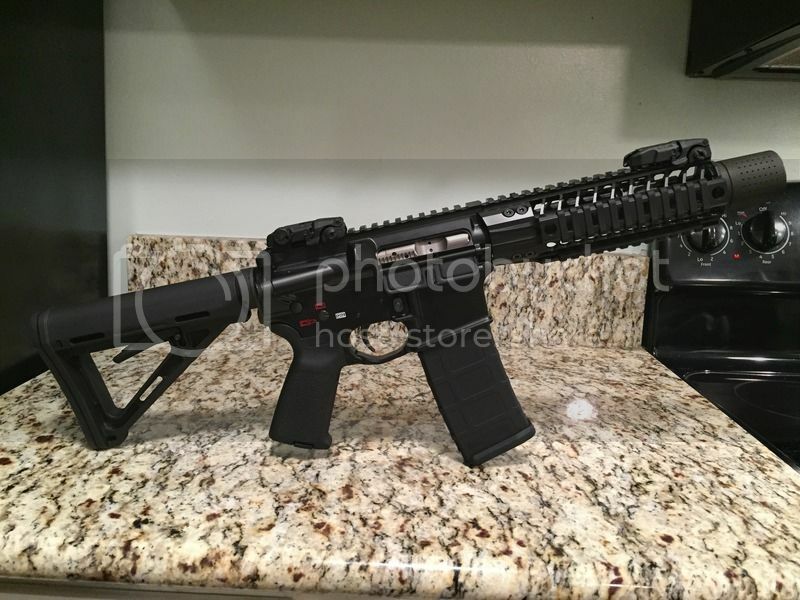 Quad Rails look just right on AR pistols that short. 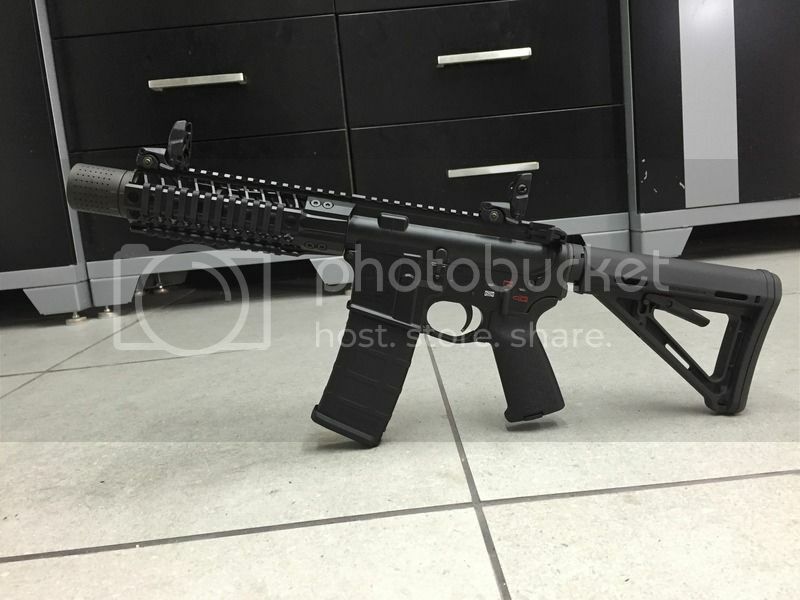 Looks great - very similar to my 8 inch barreled 300 BLK with a 9 inch BAR rail and blast shield/muzzle brake. Why did you choose fefrans CFD? 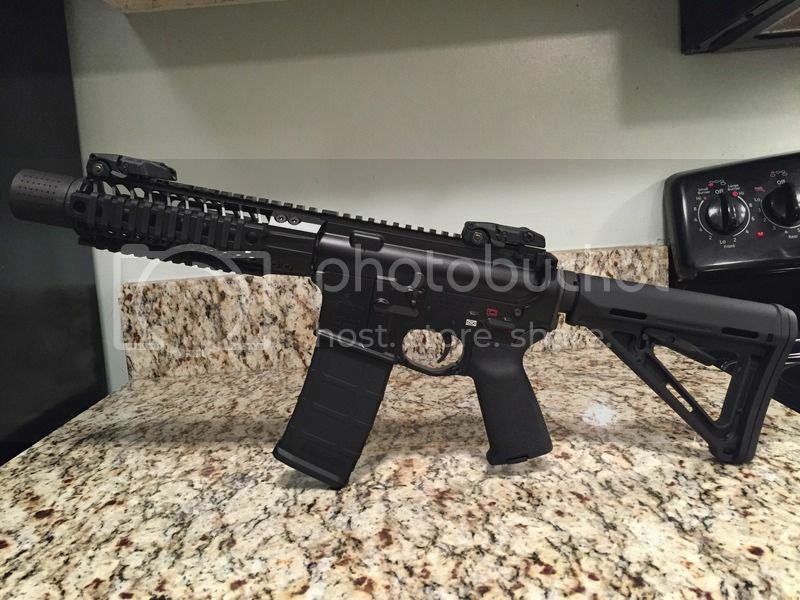 I was thinking about a 7.5 pistol build. Thanks guys. You guys are right it IS loud! That ferfrans works great on it. I'm not sure if its the ferfrans, but it doesn't shoot the fire ball i expected. Were you hoping for the fireball? I have no experience with that MD, but I cannot imagine how that short of a barrel did not throw a massive one. My 10.3 is bad enough. Nice rifle. Quality parts and none of the over the top B.S. 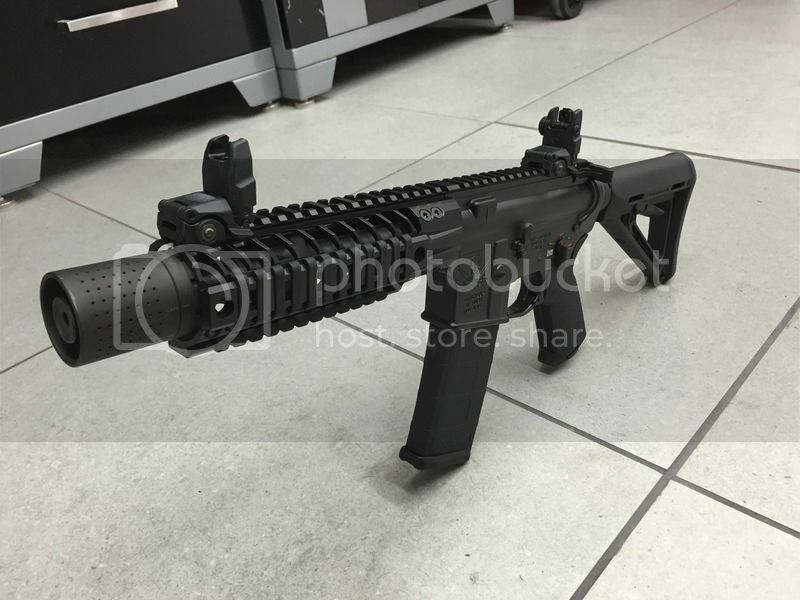 parts you see on so many rifles these days. Way to go! If you don't mind me asking, how much did all the parts cost you to put it together? It's none of my business and I hope I'm not out of line by asking. But I sure would appreciate it. Not including the tax stamp or whatever, just the actual parts. It's a damn good looking firearm though, you did a great job on it. Thanks guys for the compliments! I don't mind at all to tell you, I'll just have to add it up first! That thing looks slick as heck! Gonna be a beast to shoot! Face up, make your stand, and realize you're living in the golden years.